A top Republican senator has ordered an investigation into the Environmental Protection Agency’s alleged suppression of a report that questioned the science behind global warming. The 98-page report, co-authored by EPA analyst Alan Carlin, pushed back on the prospect of regulating gases like carbon dioxide as a way to reduce global warming. Carlin’s report argued that the information the EPA was using was out of date, and that even as atmospheric carbon dioxide levels have increased, global temperatures have declined.”He came out with the truth. They don’t want the truth at the EPA,” Sen. James Inhofe, R-Okla, a global warming skeptic, told FOX News, saying he’s ordered an investigation. “We’re going to expose it.” The controversy comes after the House of Representatives passed a landmark bill to regulate greenhouse gas emissions, one that Inhofe said will be “dead on arrival” in the Senate despite President Obama’s energy adviser voicing confidence in the measure. According to internal e-mails that have been made public by the Competitive Enterprise Institute, Carlin’s boss told him in March that his material would not be incorporated into a broader EPA finding and ordered Carlin to stop working on the climate change issue. The draft EPA finding released in April lists six greenhouse gases, including carbon dioxide, that the EPA says threaten public health and welfare.An EPA official told FOXNews.com on Monday that Carlin, who is an economist — not a scientist — included “no original research” in his report. The official said that Carlin “has not been muzzled in the agency at all,” but stressed that his report was entirely “unsolicited.” “It was something that he did on his own,” the official said. “Though he was not qualified, his manager indulged him and allowed him on agency time to draft up … a set of comments.” Despite the EPA official’s remarks, Carlin told FOXNews.com on Monday that his boss, National Center for Environmental Economics Director Al McGartland, appeared to be pressured into reassigning him. Carlin said he doesn’t know whether the White House intervened to suppress his report but claimed it’s clear “they would not be happy about it if they knew about it,” and that McGartland seemed to be feeling pressure from somewhere up the chain of command. Carlin said McGartland told him he had to pull him off the climate change issue. “It was reassigning you or losing my job, and I didn’t want to lose my job,” Carlin said, paraphrasing what he claimed were McGartland’s comments to him. “My inference (was) that he was receiving some sort of higher-level pressure.” Carlin said he personally does not think there is a need to regulate carbon dioxide, since “global temperatures are going down.” He said his report expressed a “good bit of doubt” on the connection between the two. 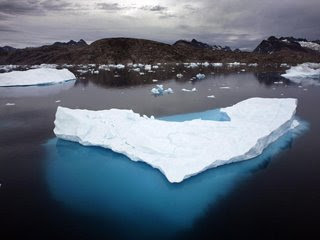 Specifically, the report noted that global temperatures were on a downward trend over the past 11 years, that scientists do not necessarily believe that storms will become more frequent or more intense due to global warming, and that the theory that temperatures will cause Greenland ice to rapidly melt has been “greatly diminished.” Carlin, in a March 16 e-mail, argued that his comments are “valid, significant” and would be critical to the EPA finding. McGartland, though, wrote back the next day saying he had decided not to forward his comments. “The administrator and the administration has decided to move forward on endangerment, and your comments do not help the legal or policy case for this decision,” he wrote, according to the e-mails released by CEI. “I can only see one impact of your comments given where we are in the process, and that would be a very negative impact on our office.” He later wrote an e-mail urging Carlin to “move on to other issues and subjects.” “I don’t want you to spend any additional EPA time on climate change. No papers, no research, etc., at least until we see what EPA is going to do with climate,” McGartland wrote. The EPA said in a written statement that Carlin’s opinions were in fact considered, and that he was not even part of the working group dealing with climate change in the first place. “Claims that this individual’s opinions were not considered or studied are entirely false. This administration and this EPA administrator are fully committed to openness, transparency and science-based decision making,” the statement said. “The individual in question is not a scientist and was not part of the working group dealing with this issue. Nevertheless the document he submitted was reviewed by his peers and agency scientists, and information from that report was submitted by his manager to those responsible for developing the proposed endangerment finding. In fact, some ideas from that document are included and addressed in the endangerment finding.” The e-mail exchanges and suggestions of political interference sparked a backlash from Republicans in Congress. Reps. James Sensenbrenner, R-Wis., and Darrell Issa, R-Calif., also wrote a letter last week to EPA Administrator Lisa Jackson urging the agency to reopen its comment period on the finding. The EPA has since denied the request. Citing the internal e-mails, the Republican congressmen wrote that the EPA was exhibiting an “agency culture set in a predetermined course.” “It documents at least one instance in which the public was denied access to significant scientific literature and raises substantial questions about what additional evidence may have been suppressed,” they wrote. In a written statement, Issa said the administration is “actively seeking to withhold new data in order to justify a political conclusion.” “I’m sure it was very inconvenient for the EPA to consider a study that contradicted the findings it wanted to reach,” Sensenbrenner said in a statement, adding that the “repression” of Carlin’s report casts doubt on the entire finding. Carlin said he’s concerned that he’s seeing “science being decided at the presidential level.” “Now Mr. Obama is in effect directly or indirectly saying that CO2 causes global temperatures to rise and that we have to do something about it. … That’s normally a scientific judgment and he’s in effect judging what the science says,” he said. “We need to look at it harder.” The controversy is similar to one under the Bush administration — only the administration was taking the opposite stance. In that case, scientist James Hansen claimed the administration was trying to keep him from speaking out and calling for reductions in greenhouse gases. FOX News’ Major Garrett contributed to this report.